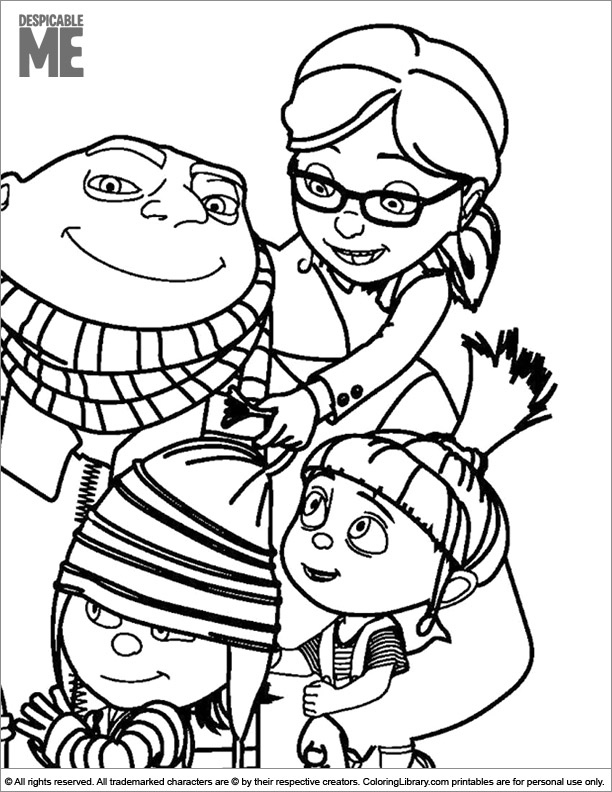 Kids love colouring activities like this Despicable Me colour page. If your kids want to colour on a rainy day, give them this Despicable Me colour page, and get creative with paint, crayons and pencils. These Despicable Me colouring pages are not only fun, but also help develop your child's motor skills. We have so many wonderful and free printable colouring pages for kids in our library that they will be colouring them for hours and hours.